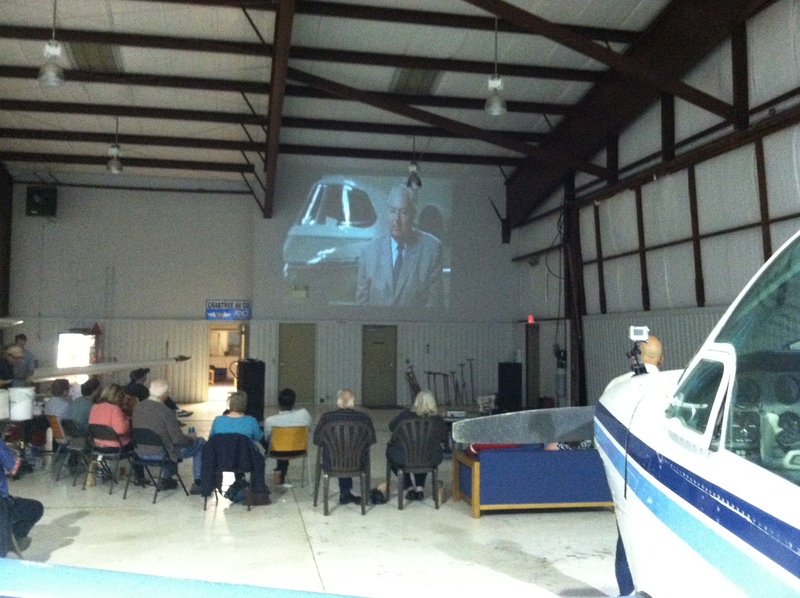 The rain couldn’t keep movie goers grounded, for first ever movie night held at the Guthrie-Edmond Regional Airport. Airplane fanatics and movie goers from Guthrie, Oklahoma City, Edmond, Norman and Yukon all gathered inside the main hangar at the airport Friday night. All were treated to free hamburgers, hotdogs and more during the movie. A packed house of more than 25 gathered for a successful first ever movie night according to Airport Manager Justin Heid. Brian Schettler and his co-pilot Steve Ruse flew in from Norman in their Grumman Traveler N6088 Lima single engine. 2 Responses to "Guthrie-Edmond airport host several for movie night"